A few years ago, stories about people who traded up from seemingly worthless items to big time possessions were all the rage. Stories of adventurous folks who started with something as simple as a paper clip and ended up with a free house after a few well-executed barters were enough to inspire even the most cautious people to take a chance when there was nothing to lose. For one intrepid individual, this was all the inspiration needed to see just how far grit and determination could take him at the online poker tables. After spending a few weeks absorbing as much knowledge as possible about the rules and psychology of poker, this player, let’s call him Tom, took advantage of an interesting offer to collect some free credit on an online poker site. With just this $50 in his account, Tom began the long and arduous journey toward a sizable bankroll using nothing but his newly-honed skillset. Tom began his journey at $0.02/$0.05 No Limit Hold ‘Em tables, which, while relatively safe, gave him an opportunity to put his new skills to the test. He used this time to learn how to read players in online games. He learned when it was right to apply pressure and when it was best to slow down. This knowledge served as the perfect tool as he continued to slowly, but surely, turn his free $50 in gaming credit into something much, much more. Eventually, his bankroll climbed to $200, which was Tom’s cue to step up his game by moving to the $0.05/$0.10 no limit games. When his skills continued to prevail, he moved up again to the $0.10/$0.25 tables. After many hours of relentless gameplay, Tom nurtured his free gaming credit into a $1,000 bankroll and a presence at the lucrative $0.50/$1.00 no limit hold ‘em tables. As a university student, Tom had the time to perfect his craft and the motivation to achieve his goal. Sure, he may have just been playing for a little extra beer money, but his skill quickly excelled beyond this humble goal to a more viable profession. Within two years of claiming his free credit, and without ever making an additional deposit, Tom has turned his $50 bankroll into more than $40,000 in cold hard cash. So, what did he do with the money? He took his girlfriend on a romantic vacation to Mexico, of course. While he’s still playing to this day, a full-time job is proving to be a much more time-intensive profession than university student. While this isn’t ideal for Tom, it does open the door for the next online poker success story. 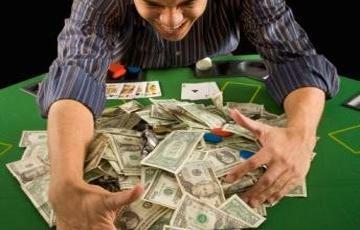 Do you have the stuff to build a massive bankroll by relying on nothing but pure poker skill? With a little bit of homework and a dash of luck, you may be able to replicate Tom’s winning formula at the poker tables. There’s really only one way to find out if you’ve got what it takes. Step up to the virtual tables, and put your skill to the test!